Southern Pimento Cheese Recipe for a Deliciously Easy Appetizer! 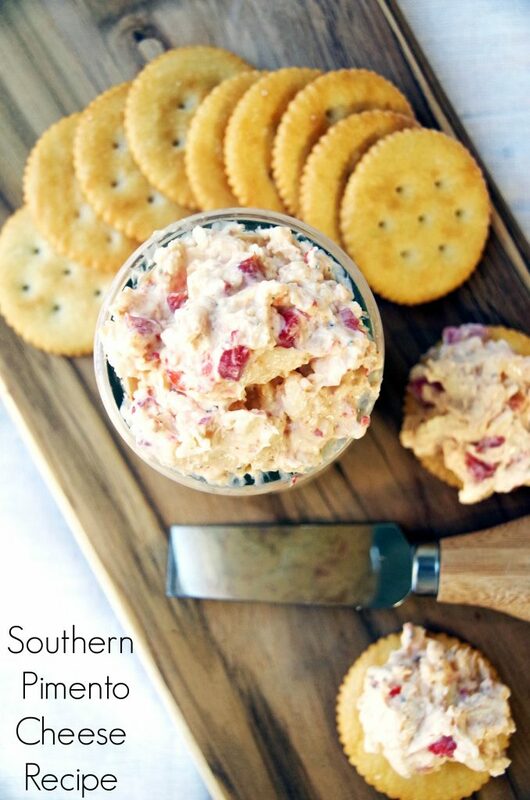 You are here: Home / Recipes / Southern Pimento Cheese Recipe for a Deliciously Easy Appetizer! Would you believe that I have lived in the south for 25 years and have never made a southern pimento cheese recipe? In fact, I had not even TRIED pimento cheese until this year. 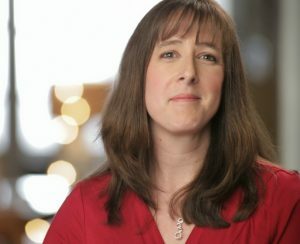 How is that possible? Especially given the fact that I absolutely love cheese! 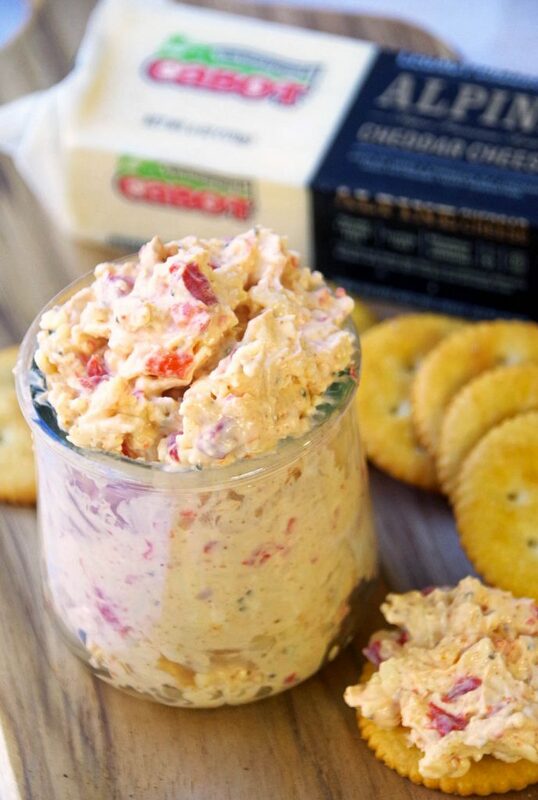 In partnership with Cabot, I decided to try my hand at making this delicious pimento cheese spread recipe and boy am I glad I did. It tastes SO good! It is an easy appetizer recipe that I think will be a huge hit with your guests. That is if you don’t eat it all yourself first! If you are looking for more cheese recipes, check out my Broccoli Cheese Soup! So, if you are like me, you are maybe wondering what the heck a pimento actually is. Seriously…I knew it was pepper but that is about it. A pimento is a variety of large, red, heart-shaped chili pepper. The flesh is sort of sweet and aromatic and it is often pickled. That is what you find in the store in tiny jars. If you have trouble finding them, look near the artichokes or olives. The most important thing about making homemade pimento cheese spread is to use a very sharp cheddar cheese. I have seen recipes for pimento cheese that use the fake processed orange block of pseudo cheese in a box. Seriously! That is NOT a traditional southern pimento cheese spread! Use a high-quality cheddar for the best flavor. 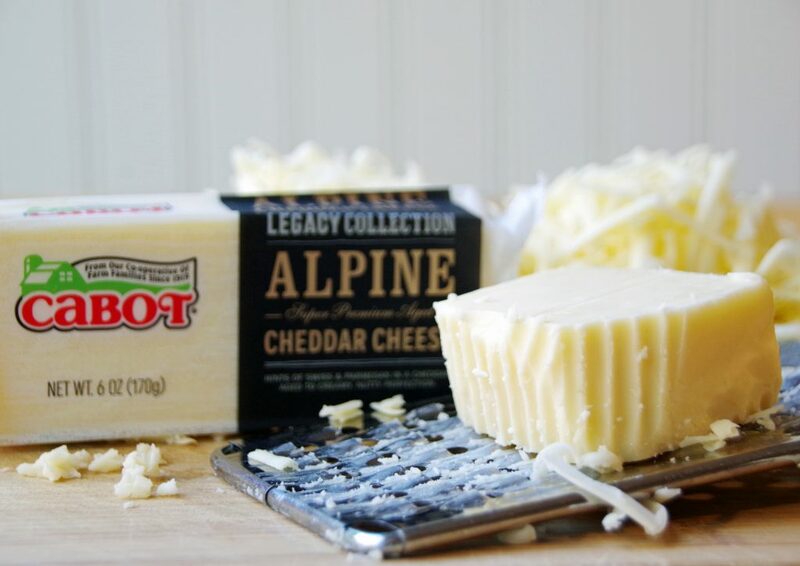 I used the Cabot Alpine Cheddar Cheese and it was deliciously sharp. To serve, you can spread this on crackers or scoop up with celery or tortilla chips. Spread on crackers or scoop up with celery or tortilla chips. 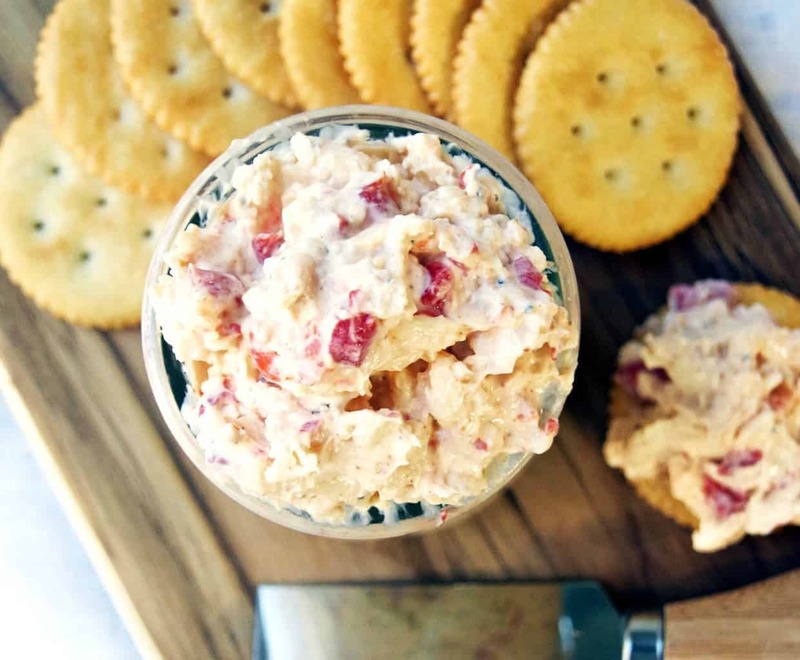 Like this Southern Pimento Cheese Recipe?